In translating from Chinese into English there is not a single equivalence of one word into another. There are often multiple interpretations. Qigong does not have a singular exact meaning, not least because there is no equivalent or comparison in the West. 'Qi' means Energy, Vitality or Life. 'Gong' means Working With, Developing or Cultivating. It is a collective name given to a vast array of practices that have been developed over 2,500 years, by one of the world's oldest cultures. At the time of writing it is not the year 2008 in China, but 4706. There are different styles, traditions, systems, schools, teachers... all with their own unique way of doing it. There are hundreds, some say thousands, of forms of Qigong. The comparison could be with music or dance. How many ways are there to play the piano or move to music? Most Qigong are external forms of movement and exercise, which are known as 'Wei Gong'. Others are internal, similar to meditation, and these are known as 'Nei Gong'. Nei Gong is the basis of the accompanying set of practices called Eight Extraordinary Meridian Qigong. However, all of the styles of Qigong have one thing in common, one fundamental basis that they all share - the human energy system. They all operate and function in terms of the anatomy and physiology of the energy system, its structure and function, which follows as exact and specific principles and rules as all of the other human biological systems. 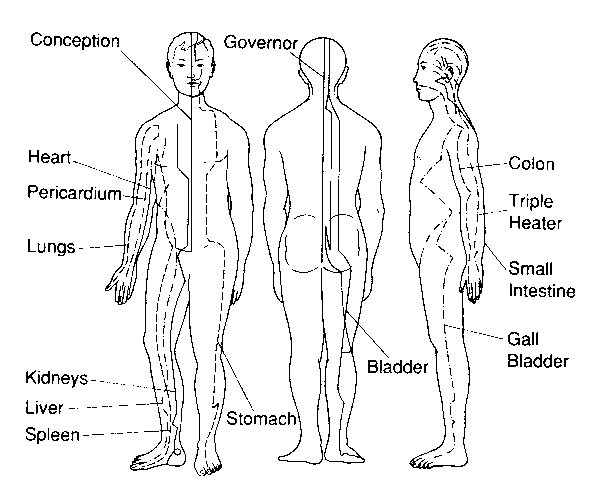 The energy system according to Qigong is most familiar through Acupuncture. However, it should be noted that 'Acupuncture' is not the name this practice is called in China - there it is called Zhen Jou, which translates simply into Needle and Heat. The name Acupuncture was apparently invented by a Jesuit priest when he saw it being performed in China in the 11th century. It has now become mainstream in Western cultures and can be found anywhere. Acupuncture has been a virtual revolution in health care in the West in the past 50 years. 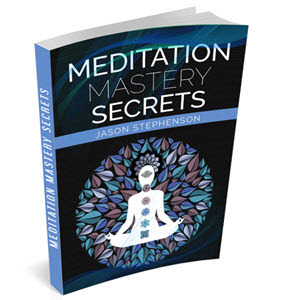 When the author began his Acupuncture practice in Boulder, Colorado, a city of 100,000 people, just over 25 years ago/a mere quarter of a century, he was the only registered practitioner in the town - now there are over 100 practitioners fully licensed by the State, and two schools. 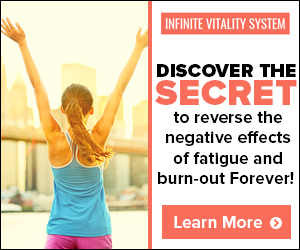 The reason for this is very simple and straightforward - it works, because it works with the Energy System that is the control system or blueprint for everything else. Qigong does the same, except that you do it yourself. It is going to be a similar revolution as Acupuncture, but in Self Care. The energy system consists of pathways or lines of energy which are called Meridians or Channels. Please take note that the terms pathways, meridians and channels are interchangeable, and may appear in different ways in this document. In Chinese, a word commonly used is 'Mo', as in 'Du Mo' or 'Ren Mo'. There are 20 major channels. Twelve of these relate to specific internal organs or functions, which are: Heart, Small Intestine, Bladder, Kidneys, Pericardium, Triple Heater, Gall Bladder, Liver, Lungs, Large Intestine, Stomach and Spleen. Along each meridian are 'points' which have very specific functions. Eight of these channels are known as the Extraordinary Meridians. Of these '8 Extras' only two have points of their own - the others leapfrog and criss-cross over the points on the other channels. These 8 Extras are divided into two sets of four each - a primary set and a secondary set. - Yin Linking/Yin Wei Mo. These 8 Extras may be accessed and controlled by a special group of points called the Master and Coupled Points, which are described in detail later. Together with some sub-branches and connecting channels, these 20 meridians/channels/pathways constitute the full number of channels in the body familiar in Acupuncture. Nobody has any more or less. 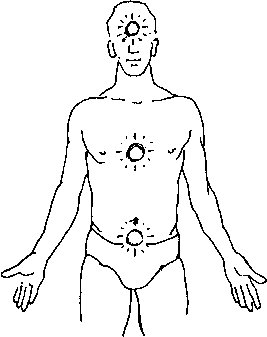 However, there is another set of important centers used particularly in Qigong. These are called the Three Tan Tien, which can be translated as The Three Elixir Fields or the Three Energy Centers. 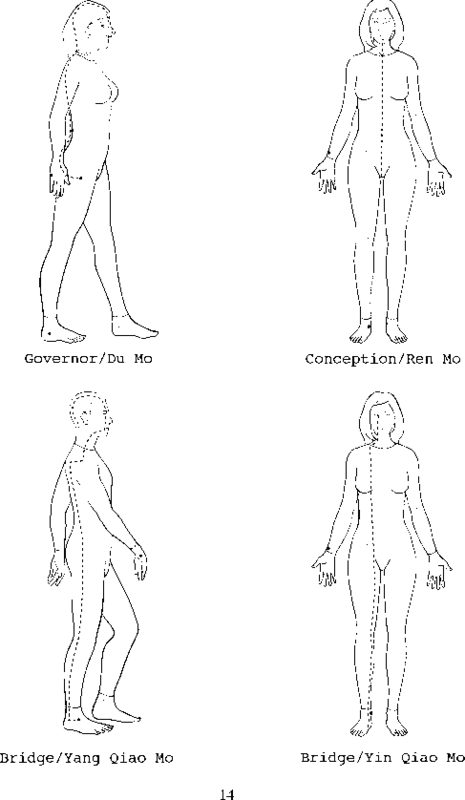 These are located in the core of the body along the Chong Mo. They are located in the lower abdomen, the center of the chest and the middle of the head. The Three Tan Tien contain The Three Treasures, which are known as Jing, Qi and Shen, which can be translated as Essence, Energy and Spirit. The Three Treasures are considered to be the most important possession a person has, and are nurtured, cultivated and protected. See the accompanying illustrations and diagram. 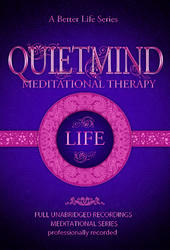 - to increase the volume and heighten the frequency of your energy, and put it under your conscious control. There are basic laws and rules by which these pathways work. 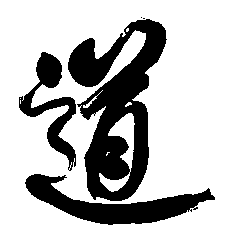 They are based upon the principles of the The Dao, which can be translated as the Way of Nature. 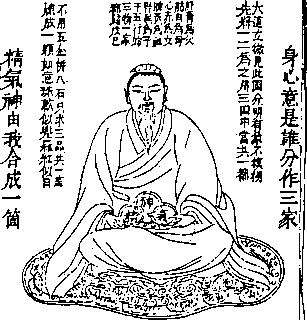 Daoism is one of the oldest philosophies in China. It predates recorded history. Daoism is concerned with understanding the correct nature of events and how things work. It can be understood as the Chinese equivalent of the Western word, Science. In the same sense, Science can be understood as Western Dao. There is another aspect of Daoism which became its religious version - there is a Daoist Church, with its own Pope, priests, nuns, temples and rituals, but none of that is described or touched upon here. The Daoism described here is its secular non-religious aspect. Daoism is described in the well-known books the Dao De Ching - 'The Book Of The Way And Its Virtue', and the I Ching -'The Book of Changes', amongst many other great classics. The Dao operates according to specific laws. There are many of these, with levels of subtleties, indeed there are scholars who deal with nothing else. However, the primary ones used here are: Wu Ji, Yin Yang, The Eight Principles, The Five Elements, the Table of Correspondences, The Eight Trigrams and Wu Wei. Wu Ji means The Great Nothingness, the ground of all being, that which existed before anything else came into existence. Yin Yang is the division into two separate poles, sometimes called positive and negative. This is familiar through the well-known symbol, which is now ubiquitous - from high philosophy to skateboards, medicine to earrings. There are five principles of Yin and Yang: Everything has a Yin and Yang aspect; Every Yin and Yang can be further divided; Yin and Yang create each other; Yin and Yang control each other; Yin and Yang can each transform into the other. Yin and Yang polarity form the basis in Oriental Medicine of what is known as The Eight Principles. This is a way of understanding and describing the state and condition of the Qi according to eight parameters. There are four pairs of opposites - Yin/ Yang, Interior/Exterior, Deficiency/Excess, and Cold/Hot. For instance, a person may have an internal energy condition that could be described as yin, interior, deficient and cold -or- yang, exterior, excessive and hot. In a practical sense this allows for a way of thinking about a specific condition or situation, and therefore to be able to decide on a course of action to take that would resolve the differences and then bring things back into correct balance. The Five Elements are known as Wood, Fire, Earth, Metal and Water. This is a way of understanding and describing the nature of things in basic categories according to their inherent qualities. There are many ways in which the Five Elements can interact together, and these differences form the basis for whole schools of thought in Daoism. It is perhaps easiest to understand the Five Elements in relationship to the seasons of the year. The succession of the seasons is the basic condition under which all life has evolved. This is so fundamental that we tend to not even notice it as being our primary pre-condition; just as if we asked fish what it was like to swim in water, they might answer, incomprehensibly "What's water?". The seasons are based on the rotation of the Earth around the Sun at approximately a 2 3.5 degree angle off its axis. Some current scientific opinion is that this angle is caused by the gravitation effect of the moon. The seasons always follow the same sequence, always have and always will. They never miss one, or jump one, or go in the opposite direction. They are stable and predictable and provide the basic metronome of life. Although in the West we consider there to be four seasons, in Daoism there are five. The familiar Western sequence is Spring, Summer, Fall and Winter; however, in the Daoist view it is considered that the period of Late-Summer (sometimes called Indian Summer) is a separate and distinct season of its own, the point of balance and harmony. WHERE ARE KIDNEYS, SPLEEN, LIVER? What is chong mo energy illustration?